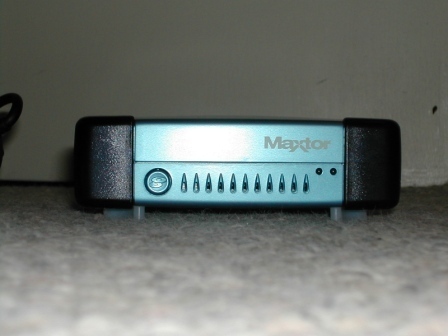 The drive has many features that all make the Maxtor 5000DV a great external hard drive. For one thing, the USB 2.0 and FireWire connectivity allows the drive to achieve more then 400MB a minute while transferring data. Can you imagine transferring 200GB with USB 1.1? However, although it's the fastest on the market, backing up 200GB with USB 2.0 can still be a long process. The OneTouch button is extremely convenient for people who back up the same data frequently. If you install the included software, you can setup the drive to backup a specified folder or partition just by pressing the OneTouch button. This worked very well for me, but setting up was a tedious process. My OneTouch button was not doing anything. After three calls to the technical support department of Maxtor, I put the hard drive on a different USB 2.0 port, and the OneTouch button worked perfectly. What it does is it launches the included software and automatically begins the backup. I didn't find myself using the button often, but other people may rely on it daily. The drive is PC and Mac compatible, so you can use it on either system. You can't, however, switch back and forth between the two. 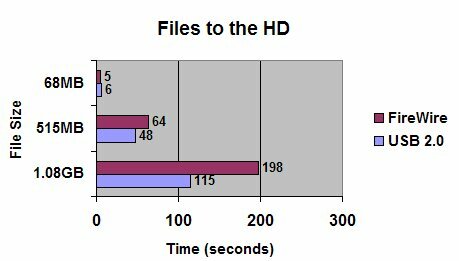 This is because both platforms rely on a different file system. When I opened the retail box, I found a huge collection of accessories to use the 5000DV with. 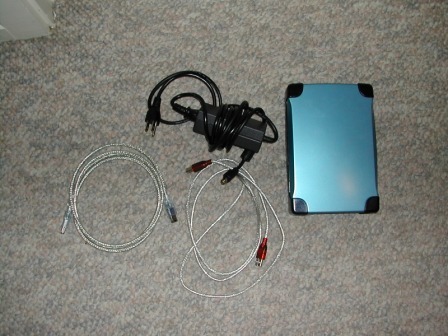 The package was as follows; USB 2.0 cable, FireWire cable, AC Adaptor, manual, drive, and stand, as well as the drivers and Retrospect software on one CD. The package was secured and packaged well. Installation, except for the OneTouch button, was easy and fast. If you've ever used a USB 2.0/FireWire device, you can install this drive without even using the manual. For Windows XP, all you need to do is plug in the drive, connect the USB/FireWire cable, and wait. Windows will automatically detect the drive, and you'll be all ready to go. You don't need to format the drive for first-use either. The drive comes pre-formatted with a FAT-32 file system, but I formatted the drive to make the file system NFTS. The drive also runs hot when on for a while. Since there is no power switch on the drive, it gets hot if it's plugged in. Maxtor bundles the hard drive with Retrospect 5.6, a backup tool to easily backup and compress files to send them to the 5000DV. Although I liked the program, I didn't use it much. I liked dragging files to the hard drive through Explorer. After all, do you really need compression when you have a 200GB hard drive? However, if you do use the software, you aren't in too bad of shape. Retrospect 5.6 is pretty nice and fairly easy to use once you get the hang of it. Setting up the program for first use was somewhat difficult for me. After a call to Maxtor's tech support, the problems were fixed in seconds. According to Maxtor, my setup problems were unusual and no one has reported having them. Basically, the software lets you quickly backup any file(s) on your hard drives directly to the 5000DV in very easy steps. You also setup the OneTouch feature through Retrospect. 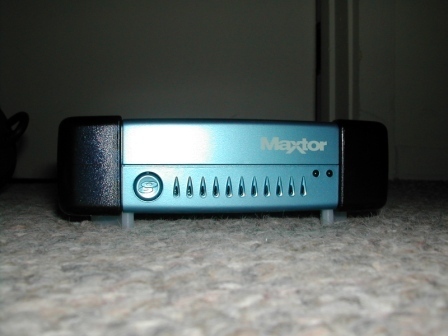 The Maxtor 5000DV was extremely impressive as an external hard drive. 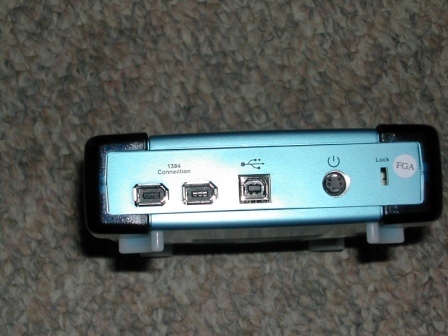 Not only did it provide durability, speed, and support for both USB and FireWire, as well as Mac Support, but it did it all in a package costing $400 at your local CompUSA. That seems like a lot of money. Well, it is. 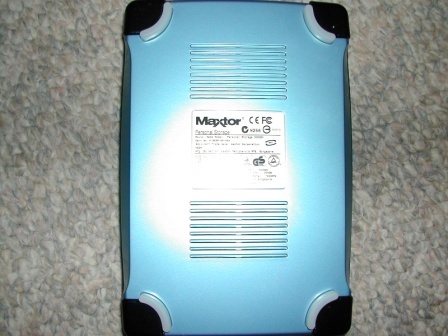 However, the only 200GB internal hard drive at CompUSA is Maxtor, and costs $350. Therefore, the external add-on is just $50 more, but is a lot more convenient. Don't expect on using the 5000DV as your primary hard drive though! Although the 5000DV was slightly big, I was still very impressed with the unit overall. Like I said above, it provides durability, speed, wide-range support, and reasonable pricing, and it's great for showing off, as well as backing up data when formatting. Since I have to format about once or twice every couple months, this hard drive is extremely useful for me. It's really a pain to backup everything on CD. That's not going to be needed anymore!